As much as having a pet is a delight, there are ups and downs to it all; in most cases with animals that have fur, fleas are always a big concern. There are numerous ways to tackle these pesky little parasites, but they all boil down to owning and being able to efficiently make use of a flea comb. It may seem like one of those thoughtless purchases, but a good flea comb could be the difference between a parasite free pet and a ridden one. So if you are in the market for the best flea comb for cats, this is a sure guide. It may come as a surprise to know that most flea combs do not even have to be used once the presence of fleas is confirmed; but upon the suspicion of fleas, this comb can be more than useful. In the case of the Safari Flea Comb, it is very helpful when it comes to the detection of fleas alongside flaky skin, especially in the early stages when it can easily be managed and treated. This flea comb can easily and effectively remove fleas as well as debris and is quite suitable for your feline companion seeing as it is more suitable for short-haired animals as a whole. One thing that makes this particular flea comb for cats a viable option is a fact that it is quite user-friendly with its comfortable easy-grip handle and its double row of teeth that make for the efficient picking of the debris and fleas from your pet’s coat. This next dog and cat comb is a perfect ensemble of four pet flea combs that help to remove irritating fleas as well as debris that are embedded in your pet’s fur. It can be used to identify the overall skin and coat problems that your feline companion may be experiencing. The Honbay four packs flea lice combs are made from a durable plastic material which comes in a narrow toothed, two side design that is as effective as keeping your cat’s hair nice and neat as it is at picking out the fleas and debris from their coat. They are also quite user-friendly, seeing as they are smooth to the touch and quite comfortable to use. Here is something that could be quite fun for you and your pet; these combs come in an assortment of bright and lovable colors and as an extension of that flea combing time does not have to be an all-around dreadful time. This Detangling Pet Grooming Comb is perfect for dogs and cat combs and is certainly on a level of its own. With a combination of long and short metal teeth, this pet accessory both safely and efficiently works out the tangles, knots and matted fur embedded in your pet’s fur. On that basis alone, the detangling pet comb with long and short teeth is a must have item for anyone who owns a furry pet. This piece of grooming equipment is as sturdy as they come; with metal teeth made of 100% stainless-steel metal teeth and as such the process of combing through your pet’s hair is as easy as possible. So, say goodbye to knotted hair, tangled and matted hair, because they have got nothing on this highly reliable piece of grooming equipment. The comb itself comes fitted with a plastic handle embedded with a non-slip grip which makes for good preventative measures against any slippery accidents. So, you can be assured that your pet is in good hands while you use this comb on them; with this new and improved grip, you can equally say goodbye to grooming related accidents. Many pet owners are unaware that a single female flea lays up to 750 eggs in one month. The eggs are deposited directly in the fur of the pet, from which they fall out very easily due to their smooth surface. And that means: wherever there is a dog or cat in the house, they distribute the flea eggs – like a salt shaker; in the carpet, on the sofa, in bed and in the car. Hence the reason why you need this next stellar piece of grooming equipment; the Zelta two-piece pet grooming tool flea removal comb. This two-piece set of combs is made up of plastic handles as well as zinc alloy teeth, making this piece of grooming equipment as durable as can be when it comes removing fleas as well as combing as a whole. It also comes fitted with a non-slip ergonomic handle which is both comfortable and quite practical to use, with room for maximum control. In addition to that, due to the fact that the comb needle clearance is closed, fleas, as well as flea larvae/eggs, can be detected at quite an early stage and altogether removed from your pet’s coat. It does this all while delivering zero pain as the stainless-steel teeth are polished till they are smooth and round. It is altogether a well thought product. The Pet Republique dog and cat flea comb is quite a fascinating piece of equipment which can also double up as a tick comb for cats. It is suitable to be used by quite a number of animals; a few being cats (of course), dogs as well as rabbits. This wonderful piece of grooming equipment is fashioned from fine and flexible pins which are suitable and highly effective when it comes to removing fleas, debris, mites, ticks as well as dandruff. This dog and cat comb also has a few added advantages such as its ability to reduce all the stray pet hair you usually get on all your stuff at home. It does this by generally reducing knots, shedding, and matting in your furry little companion’s coat. This stellar piece of equipment comes with an ergonomic handle as well as high-quality pins. To make them even more user-friendly, while they are manufactured, the texture of their bristles are tested in order to make sure that they are not too hard for your furry little companion; nevertheless, this does not reduce its ability to comb out parasites and debris. 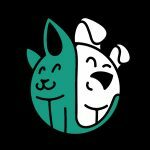 Here is where this product really does make a difference, once you buy any product from this brand then 15% of the profits are donated to the American Animal Rescue Society; a home for abandoned and rescued dog and cats alike. This alone should have all pet lovers scrambling to get one. The next flea comb on our list is definitely a stand out product. As simple as it may look, it still packs a mean punch when it comes to getting fleas out of your pet’s fur. The For Your Dog Flea Comb is a well-designed comb, perfectly fitted with densely packed metal teeth for the easy elimination of fleas, their larvae and their eggs in even the densest of coats. In addition to this, the comb comes in quite handy when it comes to removing debris around the eyes and mouth of your pet. If that is not an added advantage, then we do not know what is. These particular flea combs are designed in such a way that the teeth are turned 90% away from the skin to ensure perfect alignment with the skin during use. As a result of this, the raking of the skin is altogether prevented and as such it makes for a more comfortable grooming experience for your furry little companion. In dogs and cats, many simple and safe grooming measures are available to prevent a flea infestation or to successfully eliminate an existing infestation. And there is no doubt that this next flea comb for cats is a top-notch product altogether; if not we would not be including it on this comprehensive list. The Sentry flea comb for cats, like the previous products, has been embedded with components that are meant to eliminate fleas, their larvae, and their eggs as a whole. In addition to this, the product also goes a long way when it comes to removing fine debris and dust, leaving your pet as pest free as they can possibly be. Like the others, this flea brush for cats comes fitted with an ergonomic handle which makes for a more comfortable grip. In addition, it enables the handler to have more of a controlled hold on the comb as a whole. The sentry flea comb also comes fitted with tightly packed teeth that make for adequate removal of the fleas as well as their larvae. If there are any fleas or traces of debris in your pet’s coat, this particular comb is a sure way to get it out and it does not hurt that it is as affordable as can be. It ensures the overall comfort of your furry little companion as the bristles are made in such a way that they cause zero discomfort to your pet. Now, if there ever was a flea comb with a difference, you best believe it is this one. Just looking at it will let you in on this fact as a whole. Yes, it may be a bit pricier than all the flea combs for kittens and cats out there, but when you take a peek at what this device can do, you will definitely see that it is worth it. This device was specifically engineered to be used by the common house pet and as such it delivers to them a service borne of total understanding. 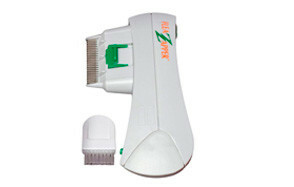 The Epilady Flea Zapper Electric Flea Comb provides for your pet, a safe, efficient and chemical free solution to the very critical problem that comes in the form of fleas. So, how exactly does the zapper work? It basically identifies or detects the presence of fleas in your pet’s fur and then it proceeds to kill them on contact while grooming the fur as well. So, you can officially say goodbye to the manual method of combing as this piece of technology will do most of the work for you. 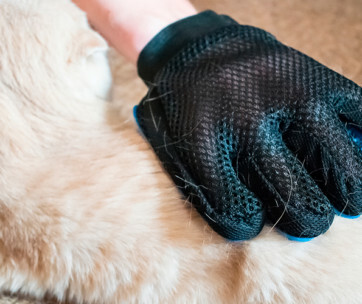 To make it all better, this piece of grooming equipment can be used on cats and dogs of all ages, from puppies and kittens to the geriatrics. This electrically charged device also gives off a discharge that gets rid of the fleas without inflicting any harm or discomfort to your furry little friends. So, be rest assured that it is user as well as pet-friendly, quite safe and easy to use and efficient as they come. To crown it all up, they come fitted with a cleaning brush for the bristles as well as an instruction manual to get you through the whole process. Nothing is worse for your pet than to have severe itching and skin irritation that comes along with flea bites. Hence why proper grooming is always essential. Rest assured that this next flea brush will be a delight to all the pet owners out there struggling on a regular with flea infestation problems and. The Poodle Pet Double Sided Pet Brush is made of stainless steel and sports an efficient double-sided design, this is one of the main reasons it is held in high esteem by both professionals and pet owners. In addition, it was practically made for gently combing your canine or feline companion’s fur in order to facilitate the complete removal of fleas and their spawn as a whole. In fact, it comes highly recommended when it comes to the removal of flea eggs as it makes for the easy and safe raking of the skin in order to ensure the removal of any hidden eggs or larvae. It is an added advantage that it equally combs out the tangles, knots, and mats, leaving your pet looking as well kept as ever. This is not the only advantage though; this piece of grooming equipment comes packed with double the cleaning power in just one comb. You can be assured that it is quite safe for use on your pet, any day, any time. It may be last on this list, but that is in no way an indicator that this is an inferior grooming product as a whole. 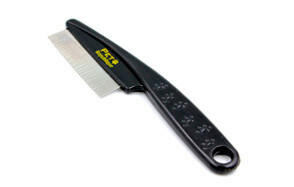 The fact that the HBuir Wooden Handle Cat Dog Stainless Steel Double-Sided Comb has been added on our list, further solidifies its status as one of the best flea combs for cats. The comb itself is made up of stainless steel accompanied by a wooden handle which makes for extra durability. In addition to this, it has metal teeth which are tightly packed together in order to adequately pick up the fleas and their spawn as well as debris of all sorts. It equally gets rid of tangles, mats, loose hair in the process, making this process as well-rounded as possible. Flea combs are definitely one of those products that require quite a bit of thought before purchase. 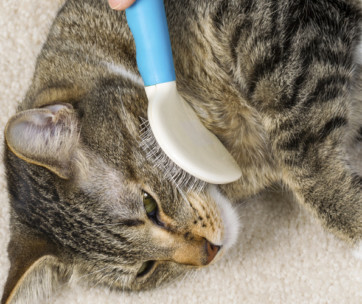 Believe it when we say that using the wrong flea brush can bring a world of discomfort to your pet and cause an overall disaster with their fur as a whole. In order to help you make more informed decisions as a whole, here are some pointers on what to look into when in the market for the best flea comb for cats. What Makes a Good Cat Flea Comb? Fleas are quite small creatures, so are their eggs and debris as a whole. As such, it is quite necessary for the bristles or the teeth of a flea brush/comb to be tightly packed together in order to adequately grab onto the fleas as well as other tiny entities that may be present in your pet’s fur. If by any chance you come across a flea comb that does not have this highly important feature, then best believe that there will be more than a multitude of fleas hidden within the fur of your beloved pet. Seeing as the brush or comb is most probably going to make contact with the skin of your furry little companion, it is paramount that it has bristles or teeth that are sensitive enough to cause zero discomfort as a whole. Combing out the fleas from your cat’s fur may not be his or her idea of a favorite activity, so it is wise to endeavor not to make the process any more unpleasant. Any scratching incurred during the process can cause intense distress and more to your pet and as such should be avoided through the use of smoothed comb bristles or teeth. As a pet owner you probably already know that flea combs are designed for certain types of fur. Before purchasing a flea comb it is important to find out exactly what types are suitable for your cat’s fur type. For instance, in the case that he/she has a short coat then it would not make for a good flea brush if you were to use a comb more suited to long coated dogs and vice-versa. As such, before making this research, be sure to do your homework quite thoroughly; it may save you both a world of pain and insecurity. In the real sense of things, no one wants a product that cannot ultimately stand the test of time. No matter how cheap it is there is no reason to purchase a product over and over again because it is not made to last. The thing that makes this an even more tricky situation is that if the brush is not sturdy enough, then it may lead to unnecessary accidents while in the process of grooming your dog or cat. It is, therefore, wise to search for combs that are made with durable materials, because durable materials translate to durable products as a whole and this makes for a happy pet, happy pet owner type of situation. All in all, this is one of the most important things to consider as a whole because, if a product is not doing what it was meant for, then what is the use of having and using it at all? There is obviously none. So,if your cat flea comb is not doing what it said it would do then it is really time for you and your furry little friend to get back into the market for something that will do the job till the end. It is totally safe to use both for your pet and for the environment since flea combs do not employ the use of chemical ingredients, much unlike the other options there is a 100% guarantee that there will be no side effects on your pet. It is the most affordable form of flea treatment. As chemical methods are quite pricey as they come, this is the best option for a cat owner, especially if the flea infestation is not on such a high level. It can be quite soothing for some animals, not all of them. But in the case that it is, then it can be an avenue for a pet and his/her owner to bond and spend some quality grooming time with each other. 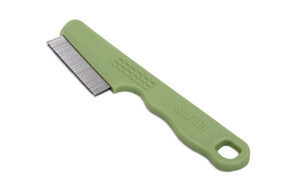 There are different types of flea combs but the two most common are plastic and metal. The difference between the two is that a metal flea comb is eons longer lasting and reliable. In addition to that, it is way easier to take care of and a great help when it comes to detangling knots and getting rid of matted portions of hair. On the other side of things, the metal can cause a whole chemical reaction and as such should be used cautiously when it is being used on fur that was previously treated with any form of chemical pesticide. When it comes to the plastic version, it is just as amazing but cheaper, lighter and not as durable. How to Use a Flea Comb on a Cat? Begin by filling a bucket half-way with hot soapy water. The reason that the water needs to be at a high temperature is so that it can adequately kill or at least drown the fleas. Next, you need to add any form of light in order to attract the parasites then proceed to put your cat or dog on a flat surface with a plain towel or cloth with lighter colour so you can adequately see the fleas, its larvae or any other form of debris. Once you have gotten to this point, it is time to start combing your pet from the head to the toe. Ensure to check the main problem areas such as the groin, neck and the tail. As you are combing, be sure to check the comb for any intruders and dunk them in the bucket or basin of hot water periodically. Once combed, rest for a while so that any leftover fleas can move around a bit before diving right in and repeating the process. Once that is done, be sure to clean, sweep or vacuum the area you used to get rid of the fleas. Q: What is a flea comb for cats? A: It is a grooming tool used to comb through your cat’s fur in order to get rid of fleas, their larvae, and debris. Q: How often should I use combs for cats? 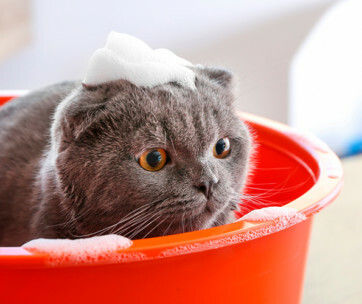 A: Brush your cat’s fur at least once or twice a week. Q: Can a cat flea comb completely get rid of fleas? This stellar product made it to the top of this list for very good reasons; it features a double row of teeth and comes in one comfortable size. They are great when used with short haired animals and are the best option when it comes to getting full-grown fleas out of your pet’s fur. It is also quite easy to use with its easy grip handle among numerous easy to use attributes. To top it all up, it is as affordable as they come.